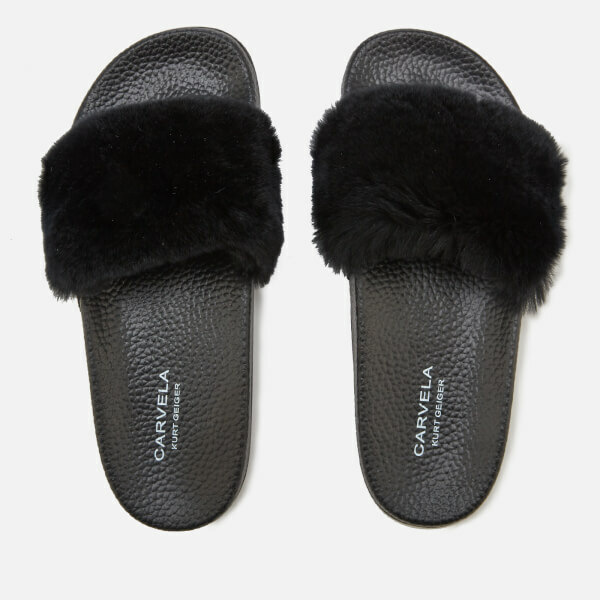 Women's fluffy sliders from Carvela. 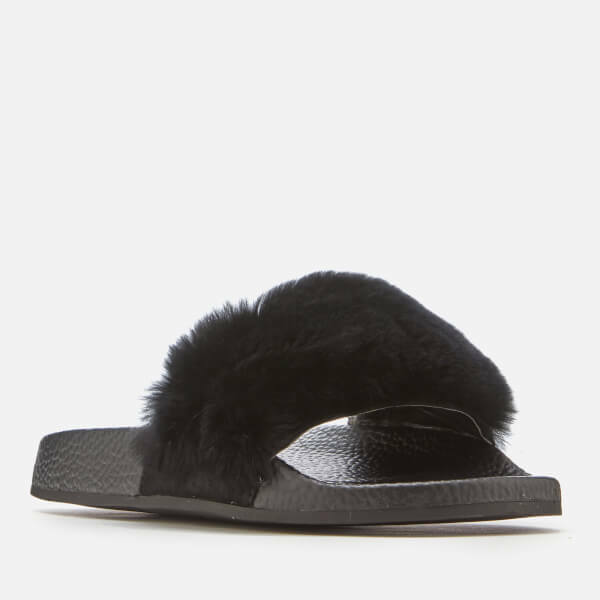 Crafted with a contoured footbed for comfort, the 'Koat' slide sandals feature a plush, real fur strap across the vamp, and are set upon a synthetic sole. 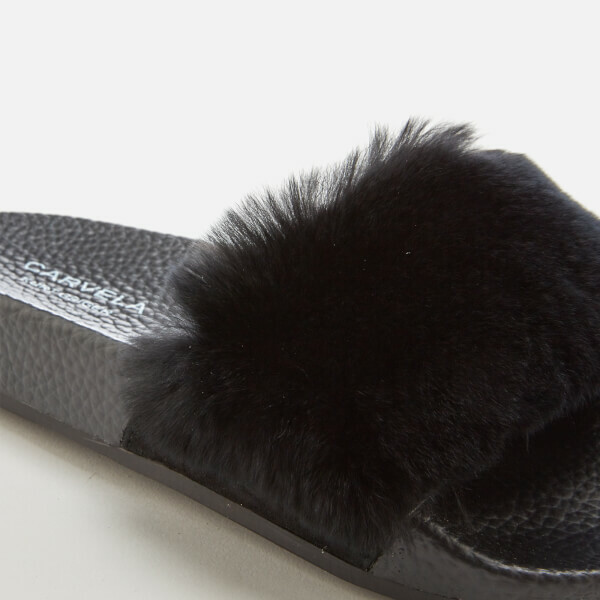 Upper: Real Fur. 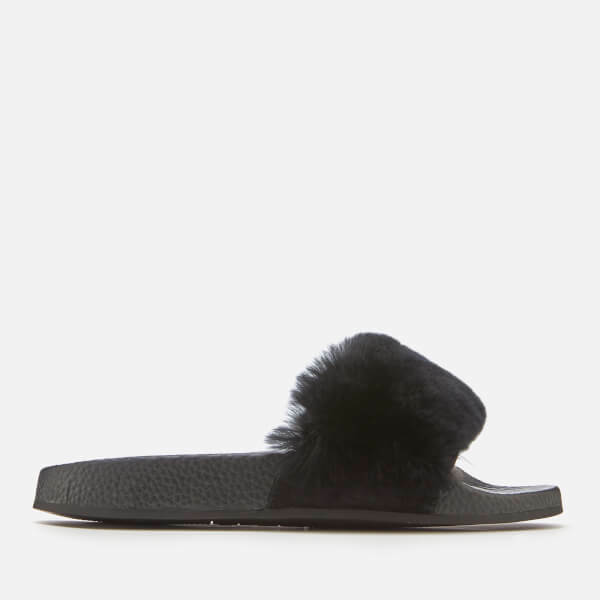 Sole: Synthetic.